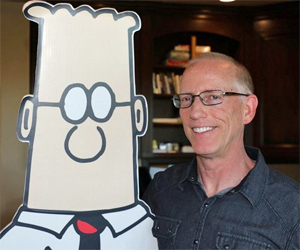 My hypothesis is that humans are primed by whatever they’ve already seen. So if they’ve seen a pattern, they’ve already fallen into it. And one of the patterns Republicans enjoyed in 2016 was having the other side be surprised. And they really enjoyed it — I’m talking about the kind of joy you can talk about over the course of your lifetime. And the Republican personality — I realize this is a gross generalization — is that it’s not always about the talk, it’s about the showing up. Republicans are going to show up. And they’re driven by all the things people are talking about, but you cannot underestimate the fun, either. I’ll tell you this: if the Republicans pull out the House [win] — I’m still thinking it’s unlikely, only because other people say so and I don’t know any different — it’s because there’s a shitload of Republicans who are saying to themselves, “They’re gonna be surprised.” It’s predictable from the fact that they have felt that pattern and that payoff before. They see the same thing happening again, and are reminded of it. Republicans, he suggests, have a stronger message, in pointing to the “mobs” that the left have mobilized in protest around the country over the confirmation of Supreme Court Justice Brett Kavanaugh and other issues. Fear is the most powerful persuasive force, he argues. That — and the sheer fun of winning bigly — could drive GOP voters to the polls. 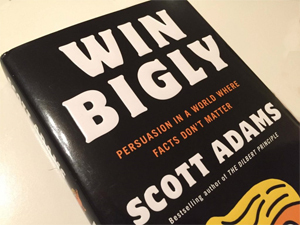 Adams is a fan of the president and his latest book, “Win Bigly” is not just a review of the 2016 presidential election, but an argument for a new way of looking at the world, through the “persuasion” filter. Adams predicted in August 2015 that Donald Trump would win the nomination, based on his analysis of Trump’s persuasion skills. Click here for more from Breitbart.com. 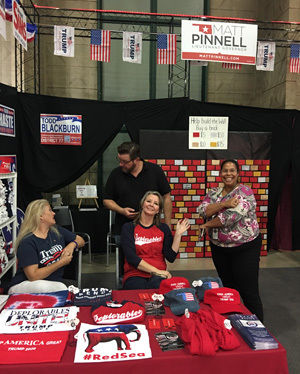 This entry was posted in Tulsa Speaks on October 20, 2018 by admin.